“They just don’t make them like they used to”. You won’t find JS Sloane using that tag line any time soon (the grammar, for one, is awful), but that’s how I would sum up their fantastic grooming range after recently getting the chance to style myself using their classic products. JS Sloane’s product range brings back the traditional values of male grooming; old-school techniques brought into the modern era, teaching the twenty-first century gent that grooming is a pre-requisite to social interaction. I first got to grips with their Lightweight Pomade, a hair product that I have used before. It offers a great, firm hold and sets the hair without adding too much weight. Perfect for the classic side-swept look or the modern interpretation of the comb-over. If you do want something a little more heavyweight then the brilliantly named Medium and Heavyweight Brilliantine offer a firmer and heavier hold, for maximum control. The common theme with all three hair products is the use of traditional ingredients and the fresh scent, making the product feel and smell very clean. Next up were the bottles. Beautifully presented in classic brown medicine bottles, the Beard Oil and After Shave Moisturiser would look perfectly at home in a 1950s barbershop. The Beard Oil is rich in Vitamin E to help improve condition of the skin hidden under the beard, as well as Lavender Oil that balances oil production and tones the skin. The After Shave Moisturiser is a little more simple and subtle; a light fragrance not detracting from the soothing effect of the cream. Lastly in my gift bag, was an Old Fashioned Gentlemen’s Bar Soap, all 7oz. of it. As someone who grew up in the 1990s, traditional soap is almost alien to me. However, this cold-pressed soap was a delight to use. The ground oatmeal in the bar acted as a mild exfoliator and the soap left me feeling very refreshed and, most importantly of course, clean. It was another aesthetically pleasing addition to the collection and certainly added to the classic style of the product range. While I am all for looking forward, there are certain products that don’t constantly need to be reinvented. Sometimes it is looking back that gives us the better experiences, when it comes to modern-day grooming routines. 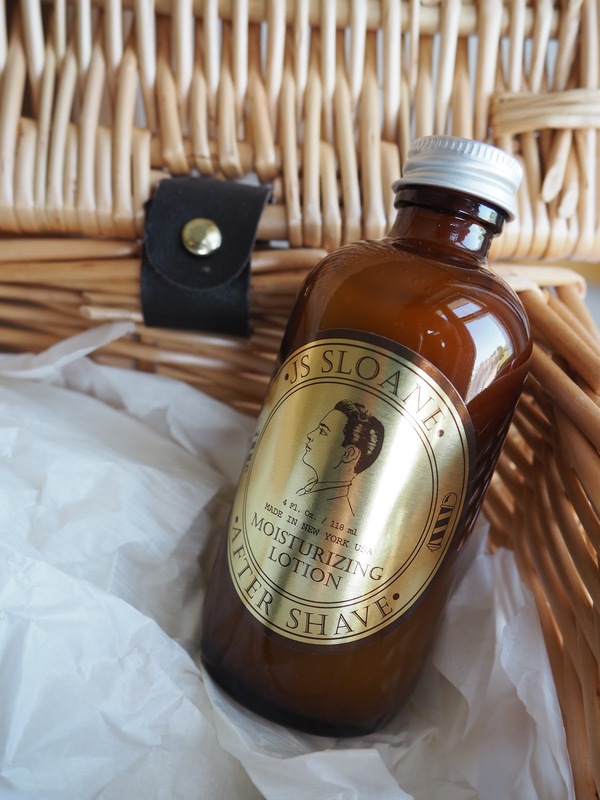 If you want to experience grooming the traditional way, then you can check out the JS Sloane collection here.